LoveToKnow Review: Is Writing at LoveToKnow a Scam or for Real? LoveToKnow is an innovative online media company. They employ writers, computer programmers, product managers, graphic designers, and other technical professionals to work from their home office with a flexible schedule. The opportunity to work remotely for LoveToKnow is great for stay-at-home parents, people who physically can’t go into an office, and those who don’t thrive in an office environment. But the team environment still exists and allows employees to benefit from communication with professional colleagues. LoveToKnow needs expert topic writers to create, update, and merge content on a variety of topics. Writers are assigned to certain topic areas based on their credentials and areas of expertise. It is possible to be approved to write for more than one topic area. Writers are given a list of available assignments to claim. The assignments range from updating and revising existing content, to reviewing existing content for accuracy or creating new content. This list is just a very brief summary, less than a 10th of the actual list of topic areas. If you have expertise in an area that they don’t have listed, you can tell them about it. To apply to be a freelance writer for LoveToKnow, you can go to their application page to apply. You’ll be asked to complete an application which includes typical contact info items and writing samples. You will select your area or areas of expertise. You can select all that apply. The list is long, with over 100 topic areas. In the application, they ask you to provide links to two (2) samples of your work. The links are probably so that they can verify that you have been published and have professional writing experience. You are asked to paste a copy of your resume including a detailed work history and writing experience. In addition to the links to your writing samples, you are also asked to include two more writing samples, each 400-800 words, with at least one being representative of the topic area that you have claimed as your area of expertise. For these two writing samples, you will copy and paste the content into a field in the application. It is unclear if you are expected to submit 4 different writing samples in total, or if the 2 links can be the same writing samples that you copy and paste into the application. But to be safe, I would submit 4 separate writing samples. How Much Does LoveToKnow Pay? 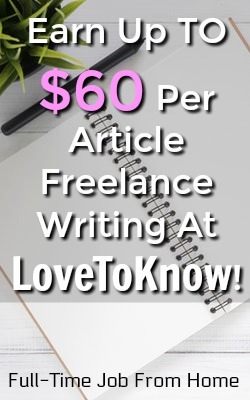 LoveToKnow pays their freelance writers for each individual article or assignment. The pay rate varies per assignment, but for the most part, the range is $25 to $60 per assignment. They pay their writers via PayPal. Glassdoor reviews indicate they pay on time. LoveToKnow is proud of the flexibility they offer to their employees and freelance contributors. They evaluate their employees on achievements, dependability, and contributions to the company goals, rather than when or how long they work. You can limit or expand your schedule based on the number of assignments that you try to claim. LoveToKnow has less than 10 reviews on two different review sites, combined. On Glassdoor, they received a decent rating of 3.5 out of 5 stars. Sixty-one percent would recommend LoveToKnow to a friend looking for freelance writing gigs. Some of the reviews are very specific. A current employee states that there are no benefits due to them being a virtual company. But the positive side of that is that being virtual, there is no micromanaging. However, a past employee said the company does a lot of micromanaging. They claim that you will spend a lot of time re-writing your articles until the editor likes what you wrote. And you don’t get paid for any re-work to your articles. A long-term employee, of over 8 years, said it’s a dream job. The editorial team is helpful and easily accessible. 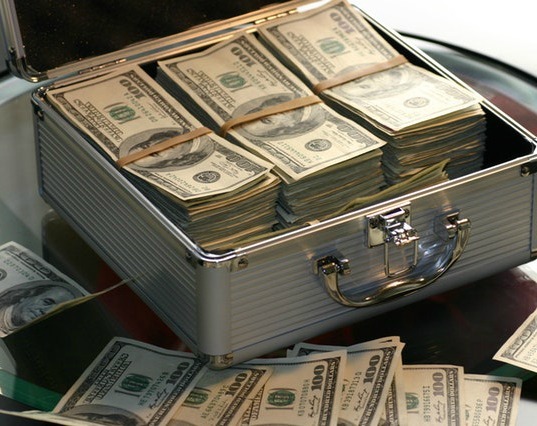 It was stated several times that LoveToKnow pays on-time. Is Working at LoveToKnow a Scam? Based on the information that I found, LoveToKnow is NOT a scam! It’s not going to be a work-from-home option for everyone because of the requirements. But once you’ve written professionally for a year, there are so many options of what you can write for LoveToKnow. You can write about just about anything that you are an expert in! Here’s the link again if you want to apply. Good luck!